I'm a big lover of reading and have been ever since I was a child, I could just sit down to read for hours and not even notice time passing me by. Since starting my first full-time job back in March, I haven't done much reading except when I have been on holiday and have found that I haven't been able to get that into reading as easily as I used to. When I saw that Sophie Kinsella was releasing a new book in February, I couldn't wait to get my hands on it! I've loved Sophie's books since the very start and own every each and one of them, she creates a world you get captured in and never want to leave. Her writing is captivating and hilarious, you feel connected to her down-to-earth characters and root for them. 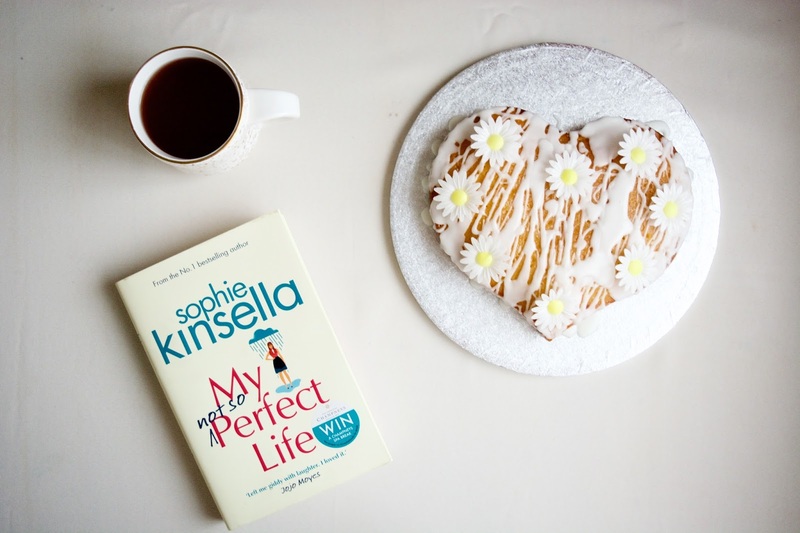 My Not So Perfect Life is Sophie's best work yet, her character Katie was very relatable and I could what emphasise with what she was going through. Description: Katie Brenner has the perfect life: a flat in London, a glamorous job, and a super-cool Instagram feed. Ok, so the real truth is that she rents a tiny room with no space for a wardrobe, has a hideous commute to a lowly admin job, and the life she shares on Instagram isn’t really hers. But one day her dreams are bound to come true, aren’t they? Don't worry I won't spoil the book or say too much about it, as you should definitely read it for yourselves. Sophie Kinsella has truly outdone herself with her new book and it is truly amazing, as soon as I picked it up I couldn't put it down and didn't even realise my relaxing bath had gone cold as I was that enraptured in the story. The book shows that there is no such thing as the perfect life and how the strangest of opportunities take you down a path you would never have expected. I love all of the characters in the book and especially how Sophie depicts that no family is perfect or conventional. Sometimes I feel like books and films try to put across an image of a perfect family: mum + dad + children/child, and that every family member is happy all the time. Especially having a single parent myself, I loved that Sophie showed a strong relationship + bond between Katie and her dad. I also found myself surprised by a couple of characters, ones I wouldn't have thought I would have liked and ended up routing for them too. Whilst there is a romantic aspect in the book, it isn't the main focus of the story and it is more on Katie's own personal growth which is refreshing! You really root for Katie and relate to her. Sophie conveys what all of us feel at work at some point: a lack of confidence, wanting to be accepted and fit in, trying to prove your worth, trying to show you have good ideas and not letting those doubts seep in that you aren't good enough. Katie truly is a strong character who never gives up and continues to chase her dream even when the going gets tough. I also love how Instagram plays a part in the book and how it captures how posed/set-up Instagram is in correlation to real life. Nothing is perfect and what someone shows you on Instagram is exactly what they want you to see. You never really know what is going on in someone's life and on Instagram they are merely giving you a tiny glimpse into their world, never assume their life is perfect and constantly happy. I do apologise for all of my rambling but I loved the book and had to share it with you all. It just goes to show, you can never expect the unexpected. Life isn't perfect and you never know how it is going to turn out, you should own those little imperfections.